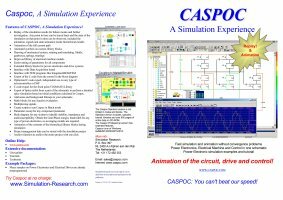 CASPOC is a powerful, innovative system simulator designed for the simulation of Power Electronics and Electrical Drives. Using CASPOC, modeling power electronics, electrical machines, load and control in one multilevel model is fast and simple. 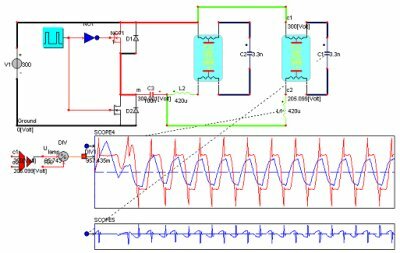 This multilevel model includes a circuit level for the modeling of switched mode power supplies, a component level for the modeling of electrical machines/loads and a system level for the modeling of control algorithms. Only CASPOC combines the ease of use of visual drag and drop schematic development, the productivity of modeling language, the power to view simulation results in ‘real time’ during the simulation in auto-scaling windows, and the world’s fastest simulation performance with no convergence problems. CASPOC is used in the design and simulation of complex power and control devices and systems such as: Rectifiers, DC Converters, AC Converters, Resonant Converters, Power Engineering, Induction Machines, Vector Controls, Mechanics, Active Filters, Harmonics, DC Machines, Stepper Motors and more, used in industries such as Aerospace, Automotive, Utility, Industrial, Transportation and Commercial Electronics. The CASPOC Standard version is the most basic, yet fully functional version of CASPOC. The CASPOC Professional version includes extended features. Try the CASPOC FreeWare version. Although limited in nodes, you can run the samples and create your own models and simulate them! Any sample can be viewed/simulated/animated in the Viewer. If there is no license, you can run a simulation and view the results. Certain parameters can be changed, indicated by the interactive components like the UPDOWN, KEY and ONOFF. 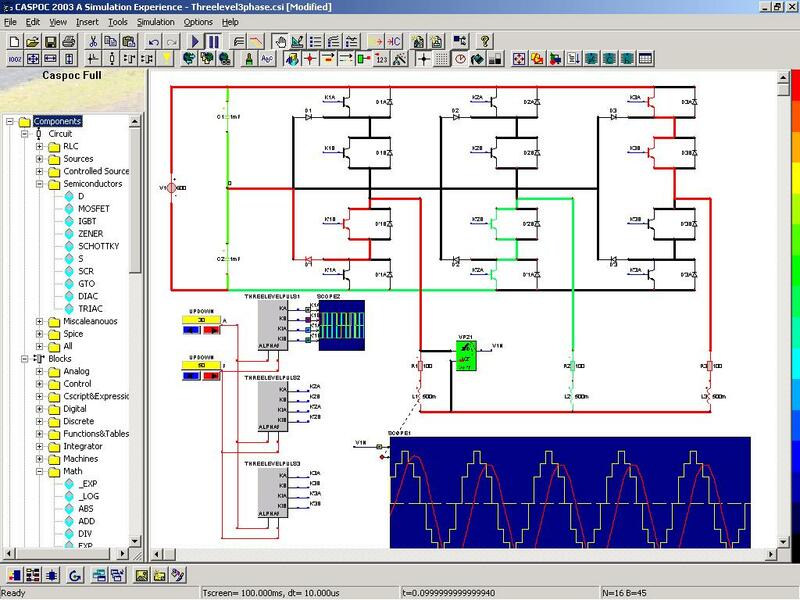 With the low-priced CASPOC Standard version you can simulate and animate DC converters, DC-AC converters, AC-DC converters, Controlled Rectifiers, DC converters with control, Induction Machines with inverters, Brushless DC machines, etc. 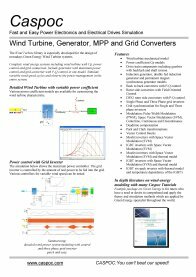 Most of the examples from the Educational Example Package for power electronics can be simulated with the Standard version. 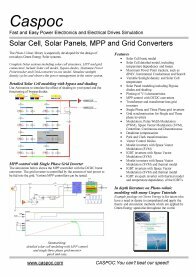 The high-end Professional version offers coupling to various simulation and analysis tolls, supports embedded C code export and allows you to run scripts to optimize your designs. The educational version includes all the features of the High-End Professional version. The educational versions can only be ordered by educational institutes. 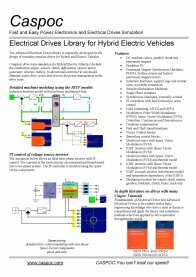 The online versions of the workbooks on Power Electronics and Electrical Drives are included in the educational version. The CASPOC Standard version is not limited in nodes and blocks. The Standard version includes, samples, tutorial, libraries and online help on a CD-ROM and 250 page printed manual. The CASPOC Professional version has extended features. CASPOC runs on all Windows. Licensing is availabe by Softlock, License Manager for the network license and Hardware Dongle.